One third of Elipson's 80th Anniversary lineup, this special edition upgrade of the best-selling Alpha 100 RIAA BT wireless turntable features a stunning black and gold finish. 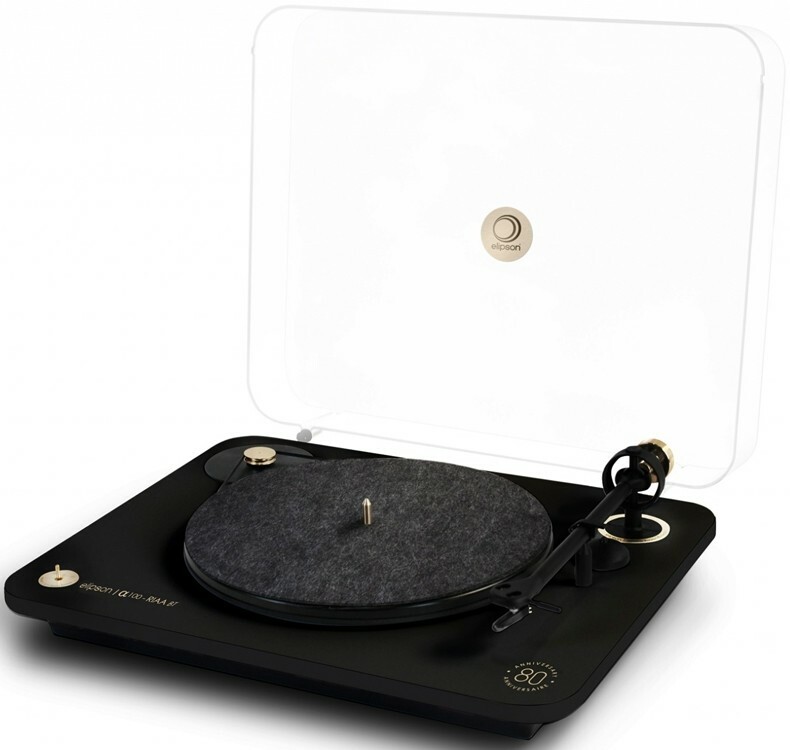 Elipson Alpha 100 RIAA BT 80th Anniversary wireless turntable is upgraded with a new and improved phono-stage and visually refreshed with a striking matt black finish with gold highlights. This is one of three products, among the brand's best-sellers, which has been selected for an upgrade and rerelease in celebration of Elipson's 80th birthday. Not a lot of speaker companies can boast that they have been going for eight decades which is why Elipson, the oldest speaker brand in France, is commemorating this auspicious occasion with the upgrade and release of three best-selling models. Like the rest of Elipson's newest products, these merge the ultimate hifi performance with state-of-art electronic audio technologies. 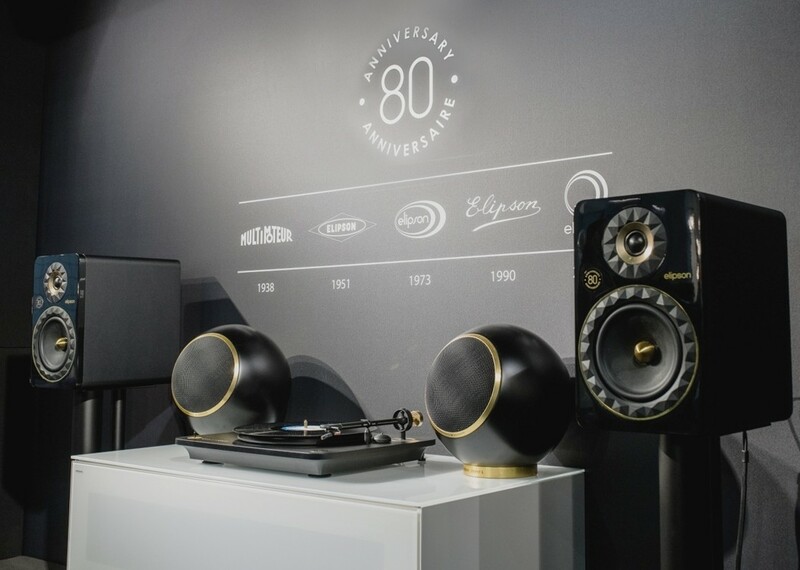 Elipson Facet 8B 80th Anniversary Speakers features the same black and gold cosmetic upgrade as the other two models in the Anniversary lineup, as well as a greater potential via a new and improved phono stage. Benefiting from the r&d process of the Omega 100, Alpha 100 is a pinnacle of French technology committed to musicality. The integrated RIAA pre-amp has been upgraded while Bluetooth aptX and USB connect to compatible speakers and PC. 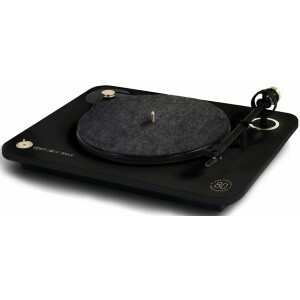 The PVC frame is complemented by a stamped steel platter and aluminium tonearm with an Ortofon OM 10 cartridge. Suspended motor fully eliminates friction while the incredibly precise rotational speed generator enables 33, 45 and 78 rpm playback. For an elegant appearance, not a single screw is visible, the cover is tailored and the angles are rounded.